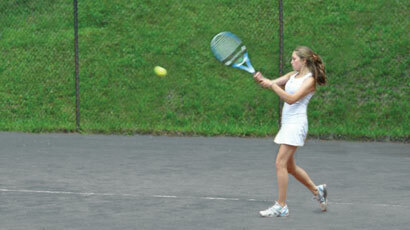 Armonk International Tennis Academy features summer programs for both elite and casual players. With two separate camps, players are able to set and attain their own goals, be it to comprehensively improve their games in a competitive environment, or to learn at a steadier, less intensive pace. 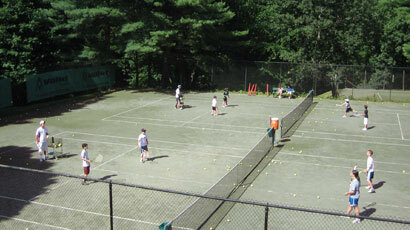 The AITA Advanced Camp is for tournament-level players ages 8-17. The program consists of intensive group drilling, tactical training, private instruction, fitness routines, and more. 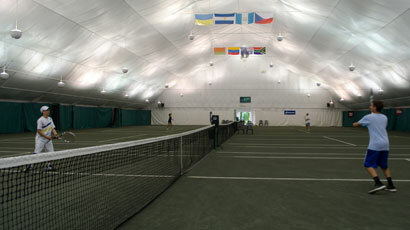 It runs Monday-Thursday to accommodate players' tournament schedules. Additional private lessons are also available throughout the week. Please note that players must be evaluated and recommended for this program. For more information, contact Greg Anderson at ganderson@armonkindoor.com. 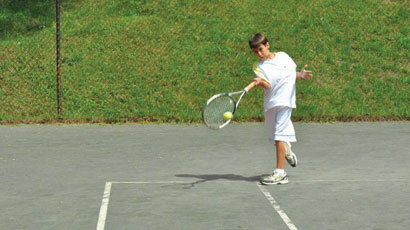 The AITA Junior Camp is designed for players ages 6-15 who are not ready for the Advanced Camp. Throughout the five-day week, players enhance their strokes and strategies via skill-building drills and games, situational play, organized matches, individual attention, and more. There are also field sports and swimming activities included throughout the day. For more information, contact Doug Sherman at doug@armonktennis.com. 9:00 a.m. - Twice-weekly private lessons at either 8:00 or 9:00 a.m.